Glyn Johnston Stadium opened at it's current site just in time for the 1997 UG Football Season; while the new Jr./Sr. High School was opened in August 1992, football was still played at the old football field at the elementary school down the road. 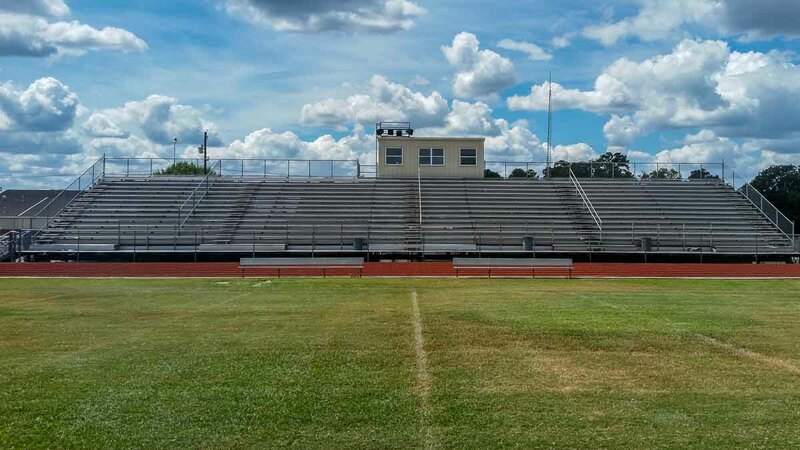 The stadium was named after Glyn Johnston who was a longtime resident of the Union Grove community and a very active athlete for the Union Grove Fightin' Lions during the 1950s and a coach during the 1980s.